I kept a sort of journal back in the old days. These were Nat’l Geographic calendars with a page for each week. When I started working for the railroad I noted what trains I worked and a bit about how many loads and empties were handled. I went back through today and re-read them for 1993/94. A real trip down memory lane. What really amazed me was how much interchange we did in Alpine with the SP. Almost every trip to Presidio we had to set out and often picked up at the transfer track, and coming back from Presidio set out and picked up. We had cars off the SP not only going to San Angelo but loads to Presidio as well. And when those cars came back from Mexico, or San Angelo empty we had to set them back to the SP. 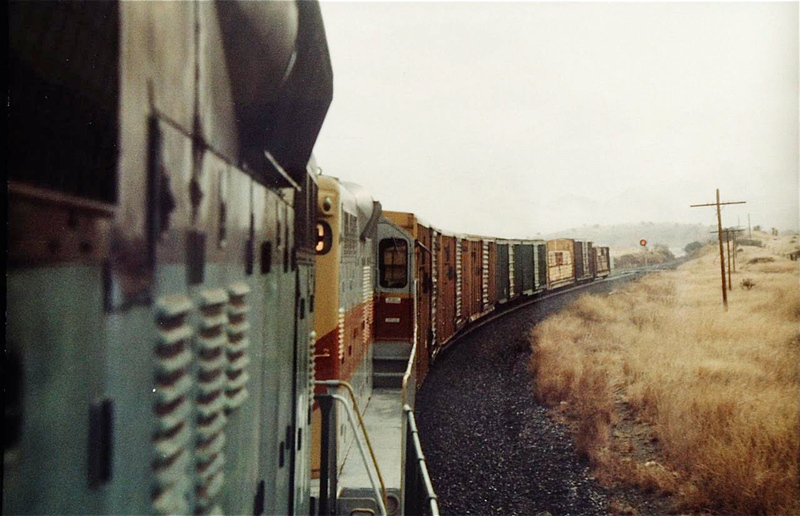 August 5, 1993, we delivered 24 empty LPG tank cars to Alpine. 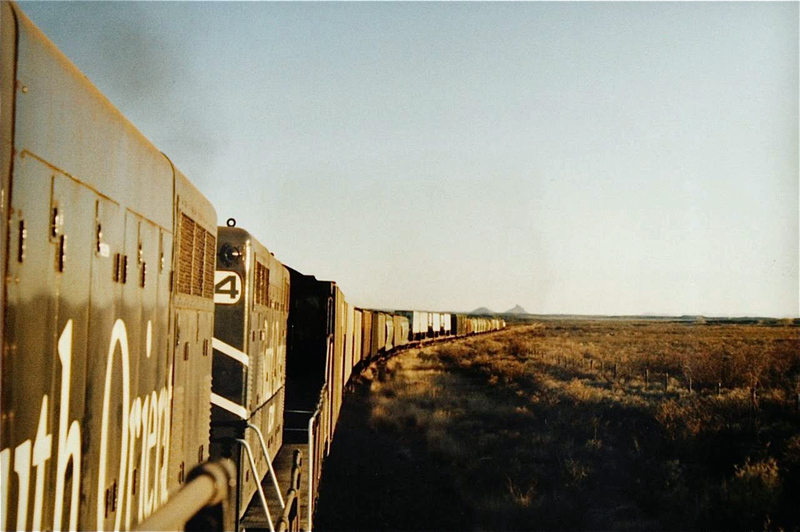 August 11, 1993, the train from San Angelo had 22 cars, one for Rankin, and 2 loads and 17 empties for Alpine. August 28, 1993, we pulled 8 cars from the Alpine interchange track and spotted 16 there. Wood chips, summer 1992 until October, 1992, in 60 ft box cars. Contract said 600 cars total but cars stopped coming after about 200 car loads. It looks like a lot but we would have quite a few loads of oats for awhile and then they would stop coming. 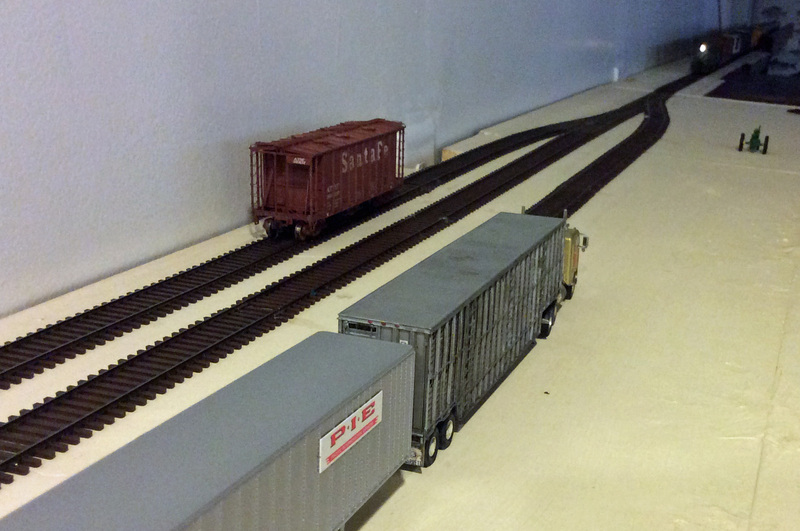 We had 30 car trains of soybeans for a month, then they would stop. By the end of 1993 I had made 75 trips to Presidio. A little over a trip a week. The South Orient hauled quite a number of loads of aluminum ingots to Mexico. This continued until 1998, starting in February, 1995. The ingots were in 50 ft hi-cube box cars, mostly BN. I’ve been trying to remember what was shipped to Mexico in those BN RBL box cars. I remember helping open the doors on the empty cars for US Customs at the Presidio depot when they came back empty to us. 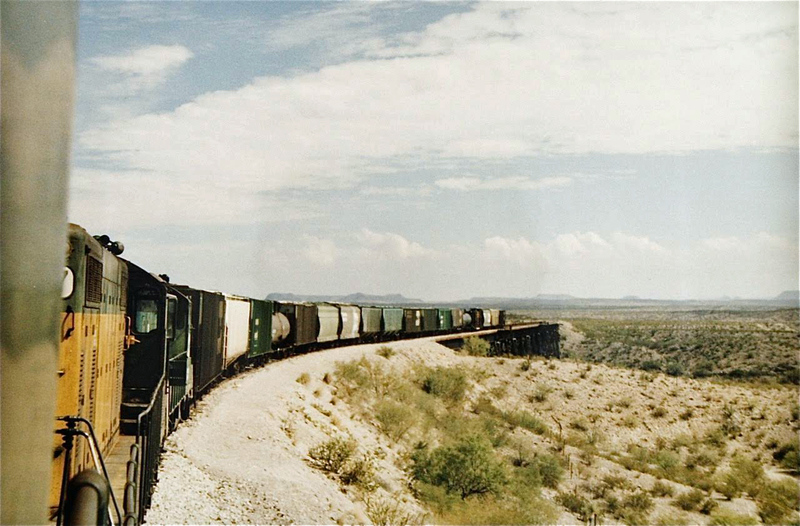 The SO put quite a number of those BN cars into Mexico. Looking a bit further in my journal I see box cars of corn starch starting in July, 1995 going to Mexico and I think that is what was in these cars. I don’t think it was so much climate control as these cars were clean, had good sealing doors, were available, and BN didn’t mind seeing them go to Mexico. These cars had been built in 1967 and were near the end of their lifespan. I see we also started getting cardboard stock in box cars and tallow oil in tank cars out of Mexico in 1995. 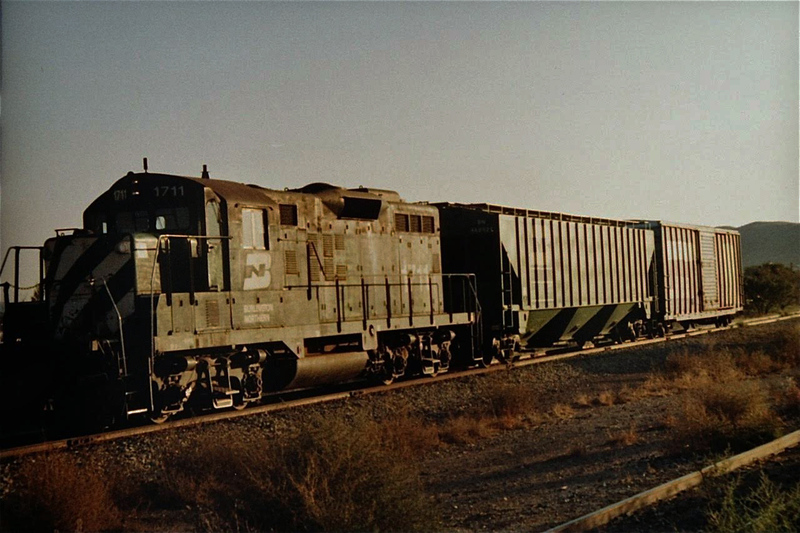 In April or May of 1993 I took eleven BN refrigerator cars to Presidio because South Orient management thought they would be loaded with onions being harvested along the river. In fact, there was an onion packing warehouse near the Presidio depot and next to a track that was working full time washing, sorting, and bagging onions. I spotted one refer next to the warehouse where I thought it might be loaded, right where a large stack of bagged onions was located. My engineer said the rail cars would not be loaded, the owner of the warehouse was fed up with rail service (ATSF) and would never ship by rail again. He was right. I was asked to move the car away from the warehouse as it was blocking airflow to the bags of onions. All onions bagged in Presidio during the SO years were shipped out on trucks, cattle trucks. I forgot to mention the many box cars of untreated railroad ties we hauled to Presidio. For reasons unknown to me, these cars were unloaded in Presidio, as seen here by the old water tank and depot, and the ties loaded on trucks to continue into Mexico. 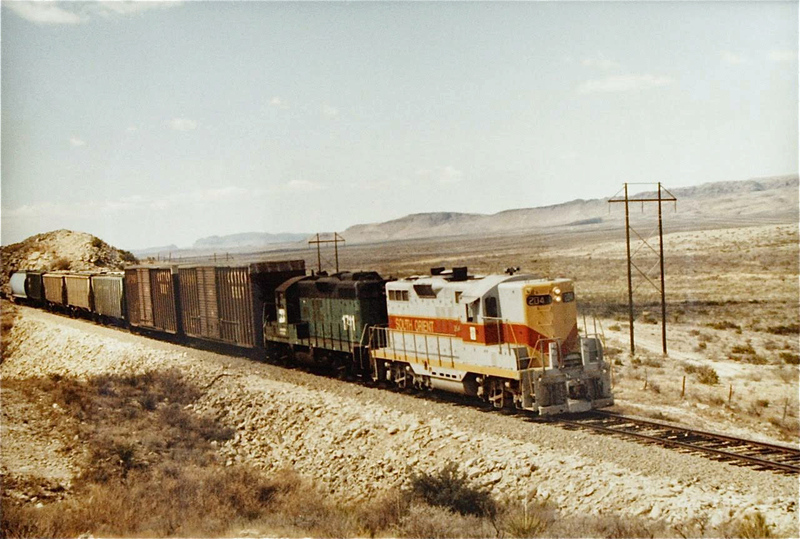 Why they didn’t cross into Mexico in rail cars is a mystery. 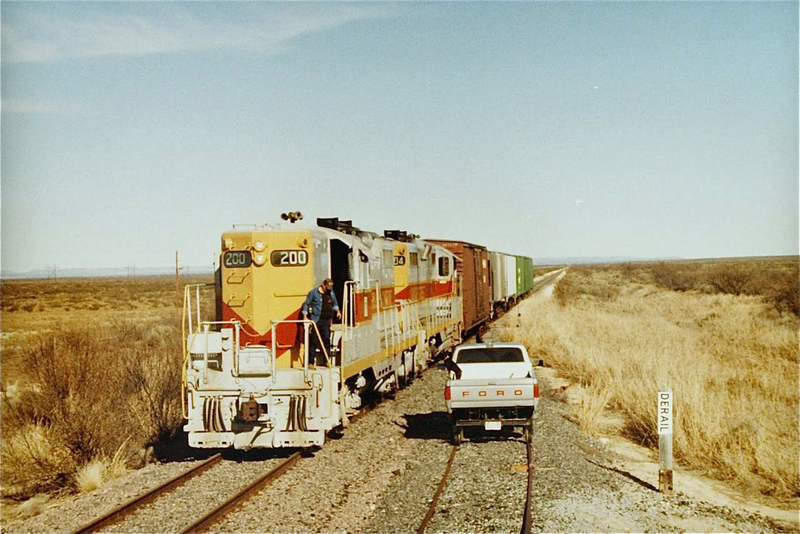 All the other rail cars we took to Presidio went into Mexico, this was the only unloading of rail cars done in Presidio. And the ties were pine wood, not the hardiest of woods. I have gotten requests for more coverage of the layout. I am having too much fun operating and weathering cars to do much scenery or structures, but I thought I’d share the most recent run. 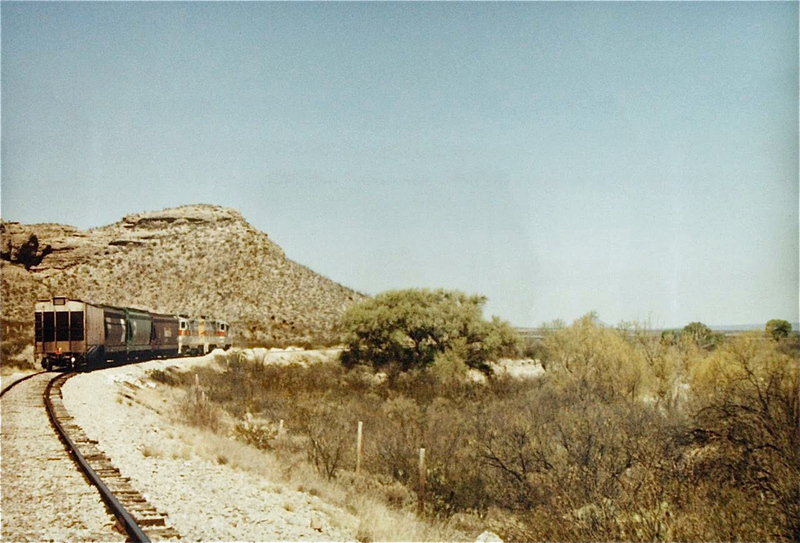 Here the Asherton local is coming into Mineral Wells. The bakery, beer distributor and feed supplier need a pick up. Only a couple of loads of beer are to be set out in Mineral Wells. Jim, the engineer, is conferring with Dennis, our conductor today, to determine the best strategy today. They decide to pile all the outbound on Rocky Mountain Feeds spur to make it easy to pick them up on the way back to Trinidad. With the beer loads spotted and all the outbound dumped into the feed dealers spur, it is time to time to head out for Carrizo Springs. Jim remarks that is the first time he has seen a Hamm’s car. (Its days are likely numbered.) Though Hernandez and Sons is a Coors distributor, they have started handling a few other brands of late. Tito, the dock manager, said they anticipate loads of Schlitz also starting to come in since the distributor over in Artesia shut down. 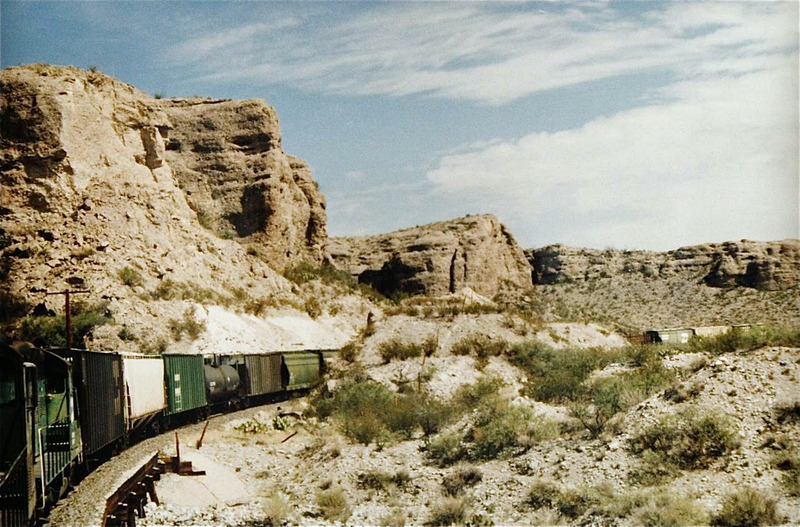 Rounding the curve and on into Carrizo Springs. Looks like the piggyback ramp has an outbound. First task is to pull the empties off the interchange with the short line that services the college in Asherton. Dennis has gotten out and is chatting up the driver who brought in the load to the ramp. He only got it loaded about an hour before we arrived. He had heard we might be bringing in some trailers. None today on the local today. The trailer he loaded is filled with scrap paper headed overseas. Next is to pull the flat off the piggyback ramp to facilitate a runaround. Bringing the empties off the interchange and from Western Minerals. 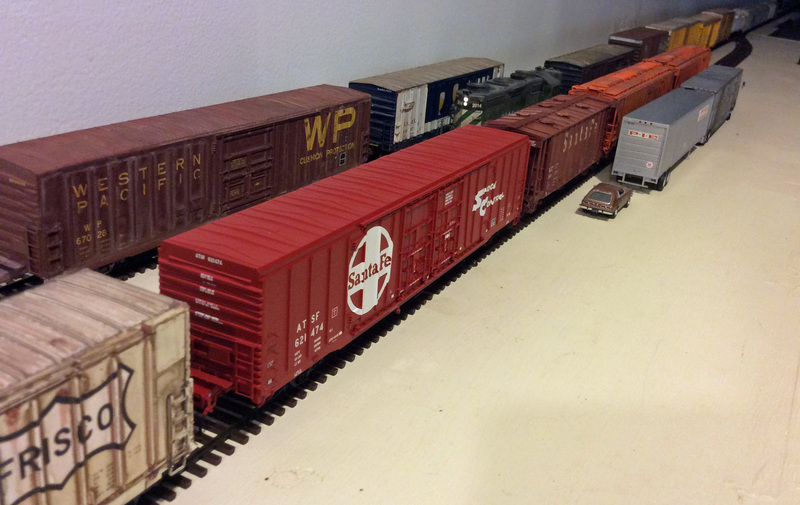 And getting all the outbound traffic together and on the siding. 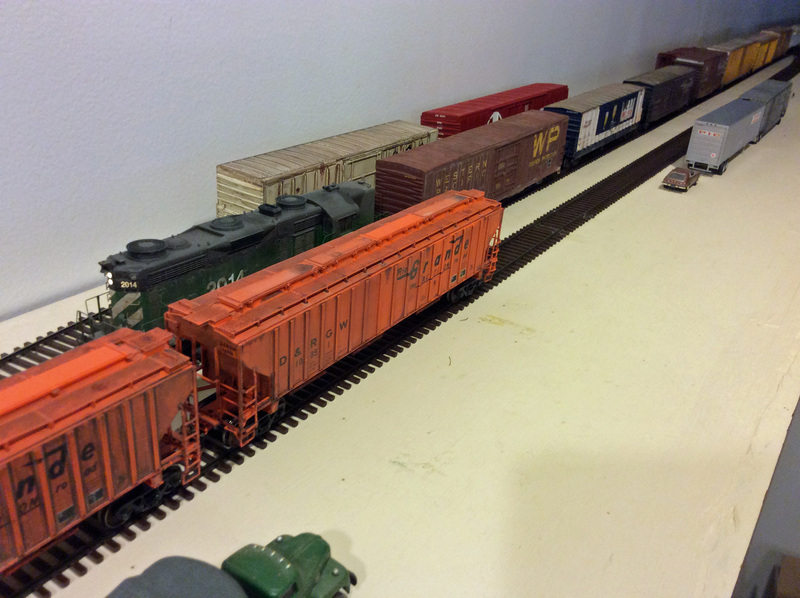 Now, it is time to temporarily spot the unusually large volume for the team track–5 boxcars on the lead for Western Minerals so the LPG tank car can to placed on the interchange. With the LPG car spotted on the interchange, now they can pull back and service Western Minerals. Jim wants to get the spot right. Western Minerals can get fussy about their spots. With that taken care of, now time to service the team track. Jim and the crew haven’t brought in 5 loads for the Carrizo Springs team track in a long time. Looks like loads for the Western Auto, Y.O. 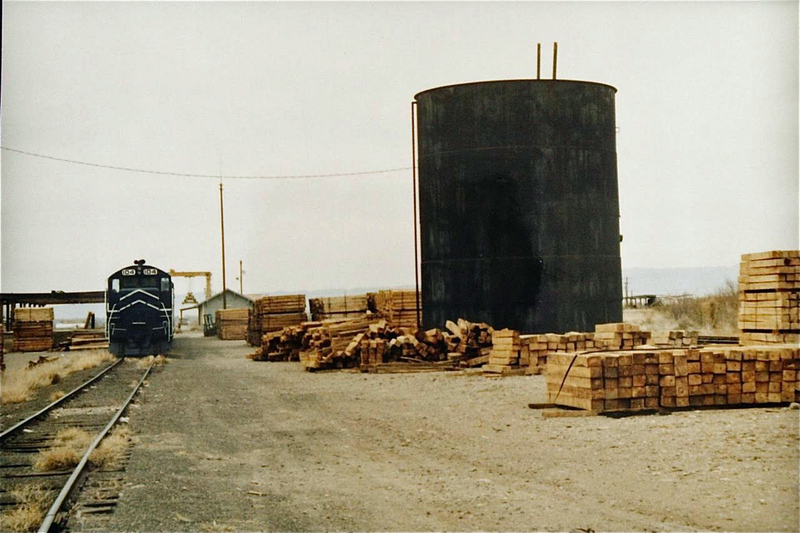 Lumber Yard and a box car of salt licks for the XTO Ranch. After spotting the team track, Jim comes back down to get the waycar and heads back toward the outbounds. Dennis had the foresight to call for the outbounds to be on the inside siding, so Jim can back down the feed dealer track in Mineral Wells and retrieve the entire train. Backing all the way down, Jim is able to make up the entire outbound train. Both cuts of outbound are now coupled. With the train assembled, it is time to head to head to Trinidad. Interesting consist on the outbound back to Trinidad. The crew should be back in Trinidad well before sunset.